Juliette D'Alisa has never found it easy to be the youngest of five in a Italian-French restaurant dynasty. In a family full of chefs and bakers, she tried her hand at culinary school only to find that she is better at the business side of things. Now, as a food critic, she feels torn when her brother tries to get her to leave her comfortable job to start another restaurant. With a mystery underfoot about her grandma's past and with her love life finally looking up, things are just getting interesting for Juliette. I loved this novel! There are tons of quirky, fun characters. I felt right at home with Juliette and her crazy family! The recipes look amazing, I can't wait to try them. :) I look forward to the next book! 3. Bixby from One Realm Beyond is quirky and fun, a friend who would just leave me laughing. 4. Kianna in Dysfunction Junction, especially when I was single. I would of loved to be part of her group! 6. Adora in The Staff and the Sword series. I would of thought she was prissy at first, but then she blossoms into her own as she learns how to work the sword. 10. Anne in Persuasion would of been a friend, one who I would of enjoyed and tried to liven up a bit. lol. 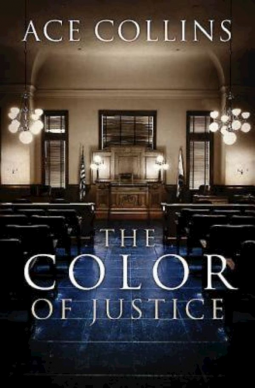 In 1964, Cooper Lindsay has just moved back to his hometown of Justice, Mississippi to start a law practice there. When a desperate woman from the "wrong side of the tracks" comes to his office to ask Coop to defend her son in a murder case, Cooper must decide if he is willing to sacrifice his practice and his family's reputation in order to defend a man who he feels is innocent. Almost 50 years later, Coop's grandson and namesake comes back to Justice to clear up the disappearance of his grandfather and the man he defended. But, Justice is again divided over a murder, this time where the victim is African American and the suspect is white and from a despised wealthy family. I thought that this novel was fantastic! There were a few things in the conclusion that I would of liked to have changed, but I understand why the author did it that way. The characters were wonderful though, and I thought it was an interesting comparison to reverse the prejudice. Ace Collins did an awesome job dealing with a sad part of American history. Two thumbs up! In Making Happy, Les and Leslie Parrott take a different approach to what makes a good marriage and how to improve your marriage-by being happy together. Going through the science of being happy, their book is like a mini class on how to make your marriage better. Quizzes, studies, personal stories, and quotes make this book an enjoyable study for couples and groups alike! I look forward to applying some of their concepts in my own marriage. When Elizabeth was sent from her beloved Cornwall to find a husband in London, she figured finding true love would be easy. After three seasons though, she is tired of fortune seekers and must flee from being married off to an old marquess who's previous wives have meet mysterious deaths. But, is her home really a haven? With the problem of smugglers threatening her safety, and the attention of a man who interests her but is below her station, Elizabeth must learn that she cannot put her trust in stone and mortor. I thought this story was interesting and had a lot going on, but I also found Elizabeth hard to relate to. Still, it was a good story and I liked the mystery! I received a copy of this novel for my honest opinion. Sera James once saw a striking painting of a young woman in a concentration camp, holding her violin. In the years since she laid eyes on the painting, she has sought to find it again. When she comes across a copy of the original painting, she is instantly swept up in the mystery surrounding an inheritance left to the owner of the original painting. In late 1942, Adele Von Bron is a young musician who trades the world of performing for that of the concentration camps when she is caught smuggling Jews out of Vienna. This is a beautiful story of sacrifice and love. I picked it up because of the beautiful cover, and found that the story is every bit as beautiful as the cover. 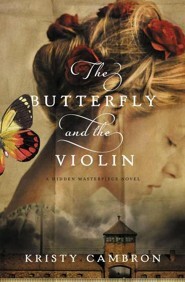 If you enjoy historical fiction, this one is a must! Killing Jesus is an interesting book on the conspiracy behind the trial and crucifixion of Jesus Christ. With Easter around the corner, I think that this is a good book to read through, since it makes you really stop and think about the sacrifice that Jesus made by going through such a gruesome death. This book is not for the faint of heart, since the author does go through the torment and persecution that Jesus went through on our behalf. I thought it was interesting that he makes the point that Jesus suffered on the cross and how it was a very public, humiliating death. (not to mention painful) It made me really stop and pause to think about the suffering that came before His triumphant resurrection. *Note, this is not for the faint of heart. Also, it is not a book to read to young children. I received a copy of this for my honest opinion. 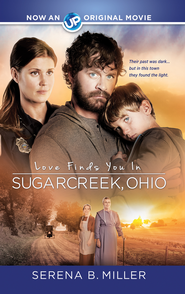 Small town cop, Rachel Troyer, just wants to look out for her three elderly Amish aunts when she encourages them to close their small inn and take it easy. When a mysterious man and his little boy have to find a place to stay when their truck breaks down, the aunts are more than happy to open their home, relying on the scripture about entertaining angels unaware. But, Rachel is sure that he is hiding something and is no angel. 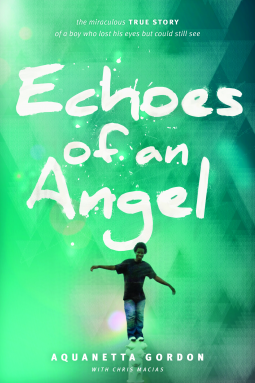 I wasn't sure if I would like this novel, but found it very engaging and hard to put down! The characters were solid and came alive. There was also a lot going on with the mystery, I like that there were hints along the way before the whole story comes out. ;) Two thumbs up! I look forward to reading more of Serena B. Miller's books! Drucker and Me is about the journey a Texas business man starts on when he approaches Peter Drucker (who is considered the father of modern business management)to mentor him with the family business he inherited. Through their many years as friends, they move from making an impact on corporate America to revolutionizing the non for profit arena. Filled with insightful quotes and useful information, this book is more than just an excellent business tool, it is also a very readable memoir. So simple, and yet complex! In this lovely book, Elizabeth Sherrill writes about her own experiences writing for Guidepost magazine, along with her husband John. She shares memories from her childhood on up and how they formed her into a person who didn't believe in heaven or God. When she starts to work for Guidepost, neither her nor her husband thought that church was important. After battling depression, she and John decide to experiment going to church. I won't share all of the details, but I will say that this book is amazing! I feel in love with her writing, she truly is a master at it. A lot of bloggers turned authors could learn a lot from her. ;) She weaves her story along with wonderful quotes and stories of those she has interviewed over the years. This is the best book I have read in a long time! 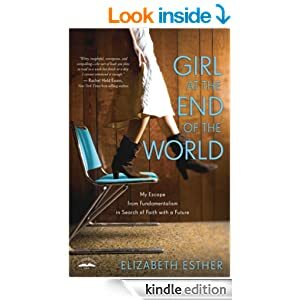 In Girl at the End of the World, blogger Elizabeth Esther opens up about growing up in the cult like group called The Assembly. Raised in the tight knit group, brainwashed from an early age, Elizabeth feels there has to be more to faith and life than what she has been taught. For anyone who has suffered in a cult, this would be a good resource. Or, for those who don't realize that this sort of group is out there. "She's (Clara Barton) the reason I became a nurse. And went off to war when Daddy told me not to. ", and so, Clara's story begins. From a young, idealistic nurse on the battlefield, to a grandmother taking a trip to deliver a quilt to the National World War Two museum in New Orleans. The quilt that was given to her by a war widow. A quilt that gave Clara a purpose and helped her to reach out to others who had been affected by the war. A Promise in Pieces is much like sitting down with your grandma and being told her life adventures. I had a hard time putting it down! 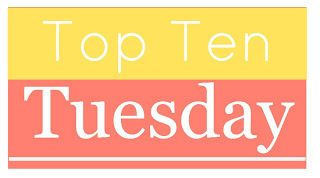 It's a beautiful story of heartache, loss, and finding your way to the foot of the Cross. At the age of two, Ben Underwood lost both of his eyes to a rare disease called bilateral retinoblastoma. Determined for him to live just like any other young man, and realizing that he has enough strikes against him as it is, his mother helps him to grow up as a normal child. Except that his way of dealing with blindness is anything but normal. Using a clicking sound to identify objects and the sizes of room, Ben is able to do, at times, more than people who have sight accomplish. By the time he hits his mid teens, Ben is motivating people around the world with his abilities. I thought this was a powerful story of what people can do when God (and family) is on their side. The story of Ben Underwood is incredible!